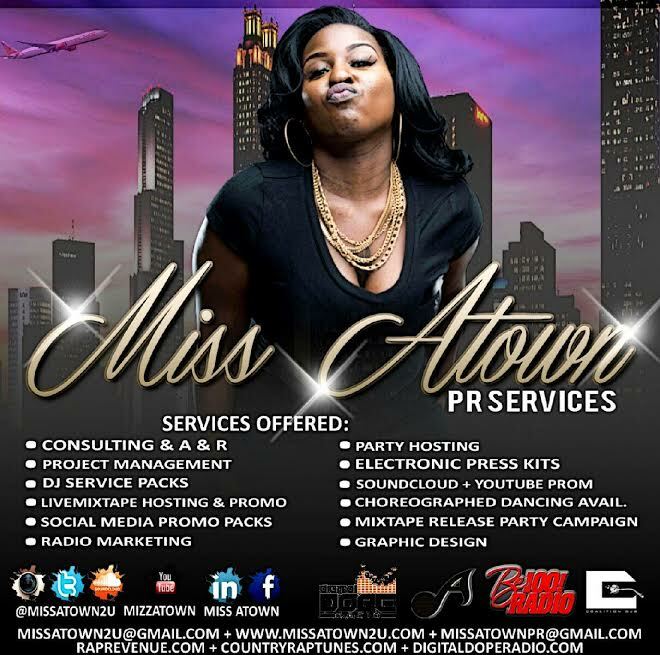 -Miss Atown works to increase brand awareness by harnessing the networking power of the internet and digital technologies to create a viral buzz online. I.Online Grassroots Marketing —This is a tiered campaign that has a variety of initiatives within. 2. Social Media Marketing –The focus for social media is to build relationships with people who we think will like your music. We must then engage with those fans in order to get them to share with their friends, which then begin the viral process. We then suggest to these individuals that they join your Facebook Page or follow your Twitter Profile. There is a good chance they’ll like it because we found them based on their musical tastes. But this takes consistent content flow and engagement with the fans along with creating offline awareness to then increase the buzz online. 3. Email Blasts – Miss Atown’s creative team will develop a series of eye catching and informative email blasts that can keep the public in tune with your message as well as continue to keep your product fresh in people’s minds. The blasts will be sent to our database of nearly 5000 industry tastemakers, web editors and media outlets. This will not only inform the recipients of your message but will also offer the public the opportunity to participate virtually by forwarding the emails on to others.